A crime scene in Monterrey, Mexico, last week. Drug-related violence has claimed the lives of more than 40,000 people since late 2006, Mexican officials say. WASHINGTON — Undercover American narcotics agents have laundered or smuggled millions of dollars in drug proceeds as part of Washington’s expanding role in Mexico’s fight against drug cartels, according to current and former federal law enforcement officials. Those are precisely the kinds of concerns members of Congress have raised about a gun-smuggling operation known as Fast and Furious, in which agents of the Bureau of Alcohol, Tobacco, Firearms and Explosives allowed people suspected of being low-level smugglers to buy and transport guns across the border in the hope that they would lead to higher-level operatives working for Mexican cartels. After the agency lost track of hundreds of weapons, some later turned up in Mexico; two were found on the United States side of the border where an American Border Patrol agent had been shot to death. Former D.E.A. officials rejected comparisons between letting guns and money walk away. Money, they said, poses far less of a threat to public safety. And unlike guns, it can lead more directly to the top ranks of criminal organizations. The laundering operations that the United States conducts elsewhere — about 50 so-called Attorney General Exempt Operations are under way around the world — had been forbidden in Mexico after American customs agents conducted a cross-border sting without notifying Mexican authorities in 1998, which was how most American undercover work was conducted there up to that point. But that changed in recent years after President Felipe Calderóndeclared war against the country’s drug cartels and enlisted the United States to play a leading role in fighting them because of concerns that his security forces had little experience and long histories of corruption. The former officials said that the drug agency tried to seize as much money as it laundered — partly in the fees the operatives charged traffickers for their services and another part in carefully choreographed arrests at pickup points identified by their undercover operatives. And the former officials said that federal law enforcement agencies had to seek Justice Department approval to launder amounts greater than $10 million in any single operation. But they said that the cap was treated more as a guideline than a rule, and that it had been waived on many occasions to attract the interest of high-value targets. It is not clear whether such operations are worth the risks. So far there are few signs that following the money has disrupted the cartels’ operations, and little evidence that Mexican drug traffickers are feeling any serious financial pain. Last year, the D.E.A. seized about $1 billion in cash and drug assets, while Mexico seized an estimated $26 million in money laundering investigations, a tiny fraction of the estimated $18 billion to $39 billion in drug money that flows between the countries each year. Mexico has tightened restrictions on large cash purchases and on bank deposits in dollars in the past five years. But a proposed overhaul of the Mexican attorney general’s office has stalled, its architects said, as have proposed laws that would crack down on money laundered through big corporations and retail chains. Mr. Calderón boasts that his government’s efforts — deploying the military across the country — have fractured many of the country’s powerful cartels and led to the arrests of about two dozen high-level and midlevel traffickers. But there has been no significant dip in the volume of drugs moving across the country. Reports of human rights violations by police officers and soldiers have soared. 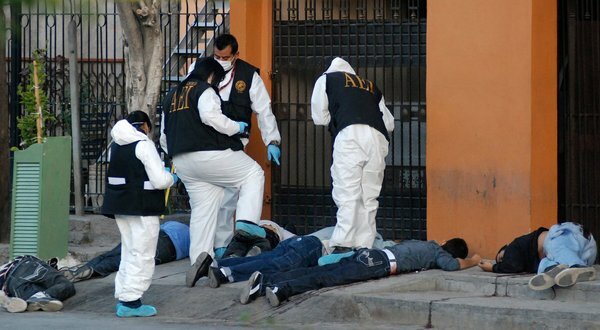 And drug-related violence has left more than 40,000 people dead since Mr. Calderón took office in December 2006. The death toll is greater than in any period since Mexico’s revolution a century ago, and the policy of close cooperation with Washington may not survive. Bail Bonds for all of California. If you have a friend or family in jail I can help. We write bonds in all courts and jails in all of California. We have agents that can post bonds as fast as papers are signed. 347(b) Falsely reporting contamination of food/drink/medicine, etc. 475a Fraudulent possession of completed check/money order, etc. 496a Junk dealer receiving property of utility company/railroad, etc. A wobbler is an offense that the statute says can result in a sentence of jail or prison.